One of the best examples of COPA90’s dominance was its coverage of the 2018 World Cup in Russia last summer. 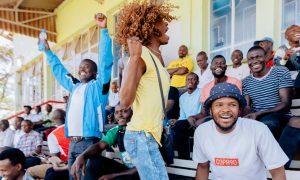 Throughout the World Cup, COPA90 posted its own professionally produced content and also video from a legion of 230 handpicked ‘creator fans’ from over 40 countries. Generating huge volumes of footage, creator fans on the ground at the World Cup in Russia captured reactions to critical moments of triumph and failure, while globally other creator fans recorded responses at gatherings of people watching those same matches around the world. 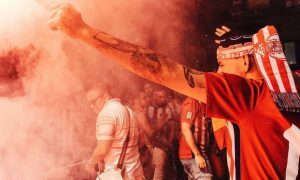 “COPA90 is how football feels; it’s the emotional connection with the game, the world of fan culture, that helps us engage so many young football fans around the world. It’s also why so many brands, broadcasters and federations look to partner with us,” said Barry Flanigan, chief product officer at COPA90. Base Media Cloud, a multi-cloud managed services provider for media and entertainment companies, seeks out the best cloud-native software-as-a-service (SaaS) solutions in the industry and connects them back to its own centralised cloud gateway network and cloud storage platform. For fast, media file transfers over IP networks, both between people around the world and to the cloud, Base uses Signiant’s Media Shuttle for over 30 of its international media clients. Supporting COPA90’s World Cup coverage meant quickly transferring massive volumes of files and making them continuously accessible in Base Media Cloud storage. Media Shuttle was central to the strategy, not only for getting footage from COPA90 producers and creator fans back to London and New York, but also for the migration of half a petabyte of data into Base Media Cloud’s storage platform for COPA90’s secure long term archive. Base Media Cloud also runs a fully managed media asset management and content sales portal service for COPA90, built in partnership with Wazee Digital (a Veritone Company). It performs automated encoding in Amazon Web Services (AWS), streaming and playback of content, and enables global users to view and manage COPA90 content. It also serves as a centralised library with metadata allowing for easy search. All of this is cloud hosted and managed by Base Media Cloud as part of its multi-cloud service portfolio.